It\'s just a little tweak. Alcohol become more charming effect and heavy weight. But not too much. It's just a little tweak. Alcohol become more charming effect and heavy weight. -What does this mod do? Weight of alcohol: 0.5 ? 1.0. Effects of alcohol: middle-risk low-return ? no-risk low-return and these have different effects. 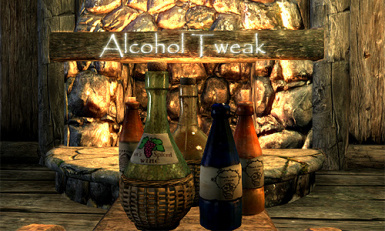 Any mod that tweak alcohol, I think. I'm Sorry. Any DLCs are not support. I'm Sorry.